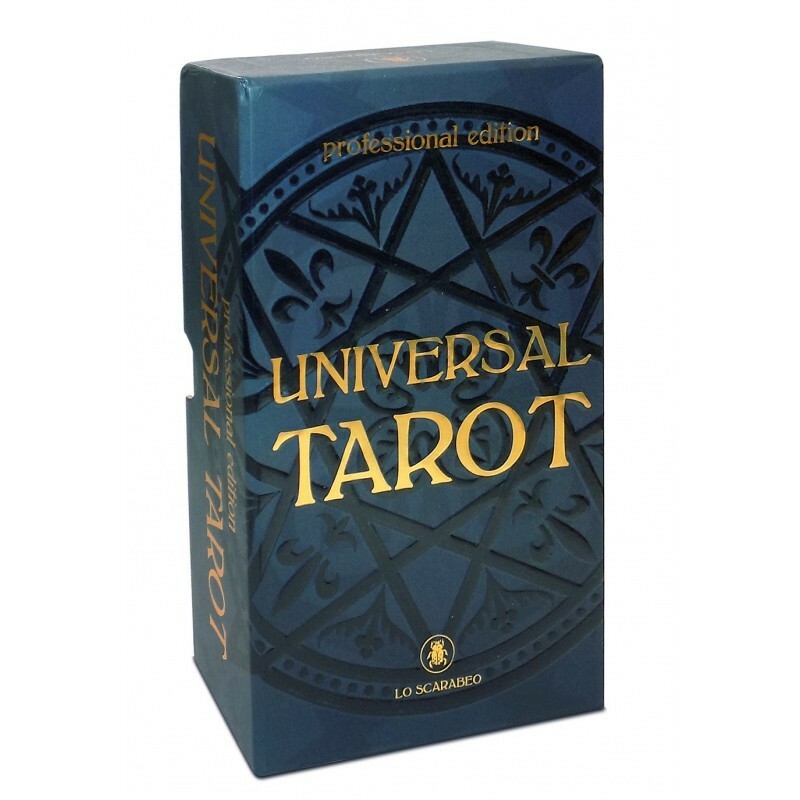 Universal Tarot proffesional edition. - Tarot Bulgaria ltd.
> Italy tarots>Lo Scarabeo tarot decks.>Universal Tarot proffesional edition. 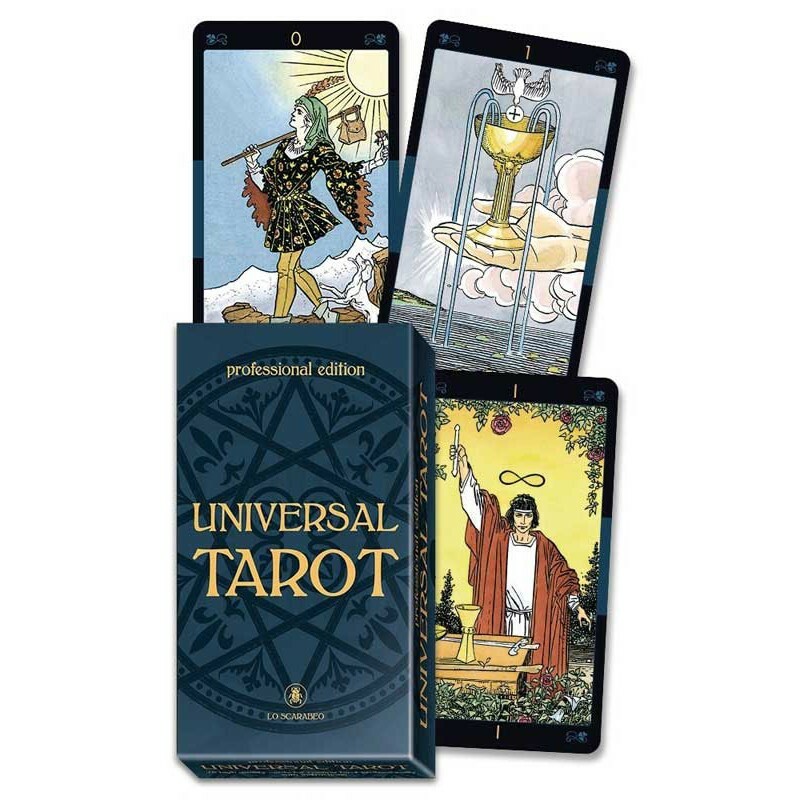 A new impreved and higher quality edition for the Universal Tarot. Created with professional quality the cards are in large format, with special attention to their varnish and resistence to use. This professional-quality deck is a must for those who need their cards to stand up to heavy use. 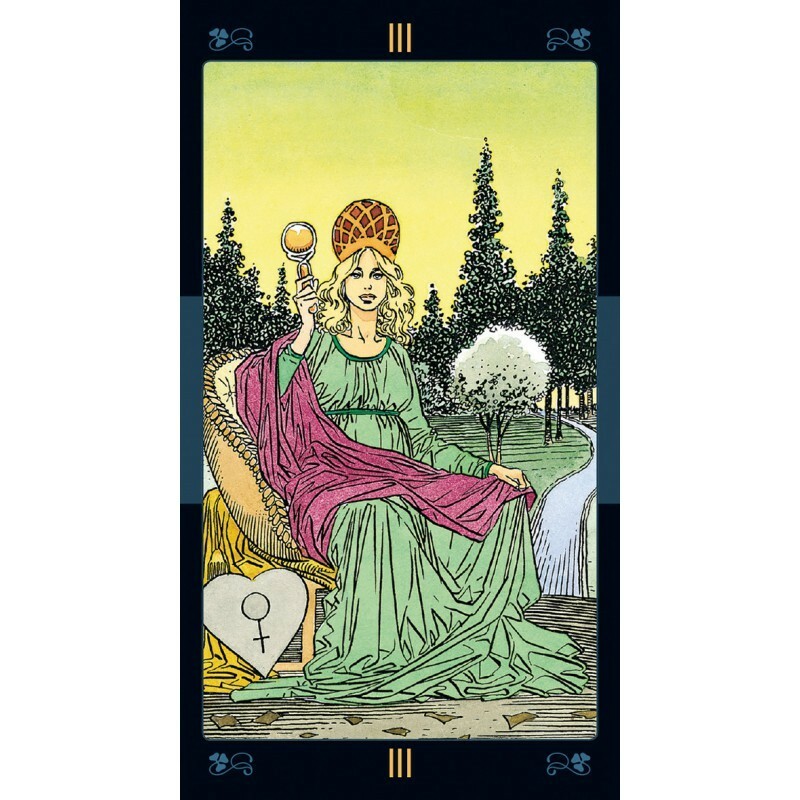 The larger cards make the details of the images easier to see, and the high-quality card stock ensures a long life. 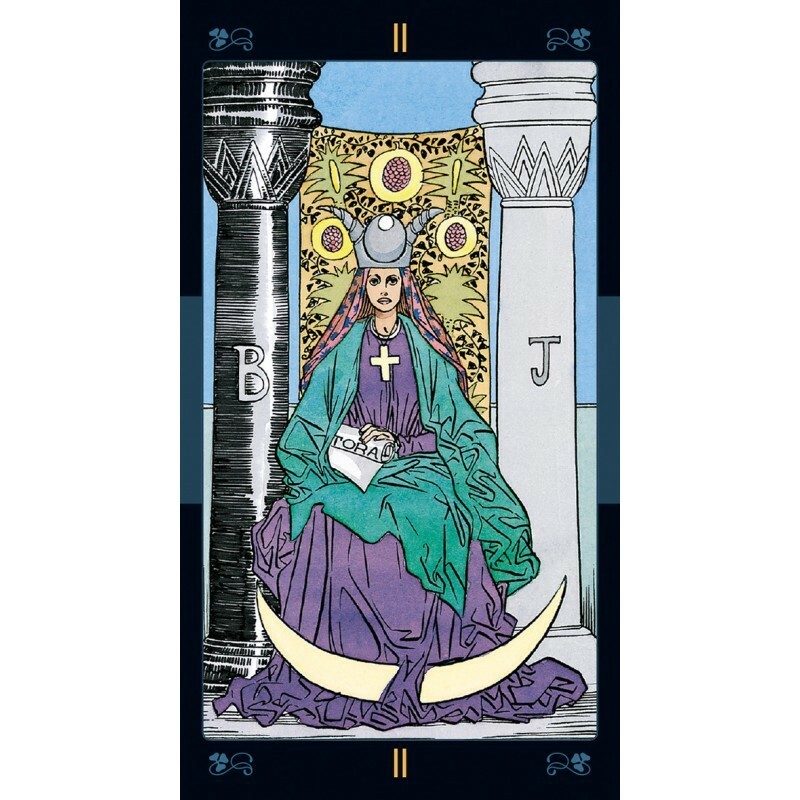 Containing all the elements of the traditional Rider-Waite-Smith tarot, this deck is perfect for professional readers, teachers, workshop leaders, and serious students. Readers will recognize familiar scenes while being delighted by the uncluttered adaptations and sophisticated use of color.